Do you pay for BlackBerry’s Internet Plans just to use the BBM services. Not anymore! Vodafone has announced that it will launch specially tailored service – ‘Go BBM service’ – for its BlackBerry subscribers which will offer them unlimited access to the very popular service, BlackBerry Messenger. Prepaid BlackBerry users on Vodafone will be able to avail this at Rs. 5 per day or Rs. 129 for a month. For postpaid users, only monthly plan of Rs. 129 is available. If you are planning to purchase a new BlackBerry Curve 8520 and BlackBerry Curve 9300 from Vodafone, anytime before the end February 2012, then Vodafone will offer one year unlimited access to BBM services from date of purchase. Cool! We see this as an attempt by RIM to woo the youth, by providing them the BBM at a decent price, though, we feel a price of somewhere around Rs. 90-100 should have been more appealing, but never the less Rs. 129 is not a bad price to start with. 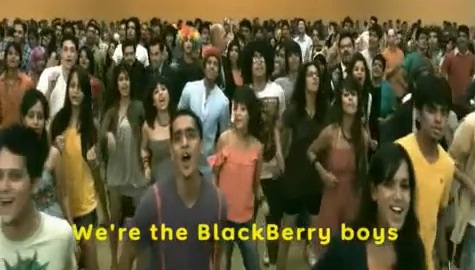 Time will tell how successful RIM will be to convert youth into “BBM Boys”.